I adore broccoli. Maybe, subconsciously, that is why I decided to blog about it on Valentine’s Day. I just can’t get enough of this delicious cruciferous vegetable. Did you know that it contains almost twice as much vitamin C as an orange? Amazing, huh? Usually I stick to roasting it with a drizzle of olive oil and a sprinkle of salt to help bring out its natural sweetness. Cooked like that, it is better than popcorn. My husband and I often devour a whole baking tray of the crispy little florets. 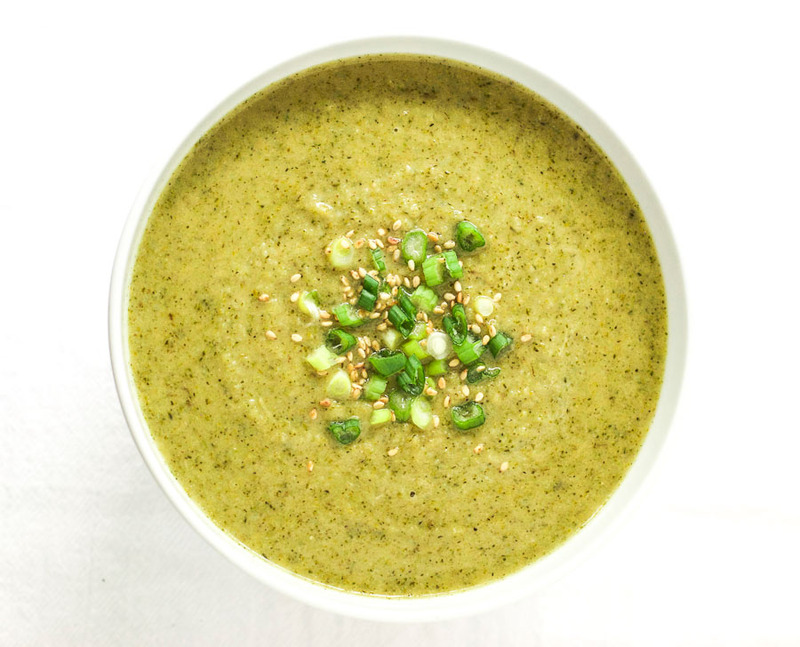 But today I decided to make something a bit different… this roasted broccoli and white bean soup. I’m always looking for tasty ways to make sure I reach my recommended daily intake of fiber (25 grams for women, 38 grams for men). Fiber is hugely beneficial to our health. Not only does it help keep our digestive system functioning smoothly (and who doesn’t want that), it also helps lower cholesterol, keep you feeling full for longer, and feeds the good bacteria in your colon. 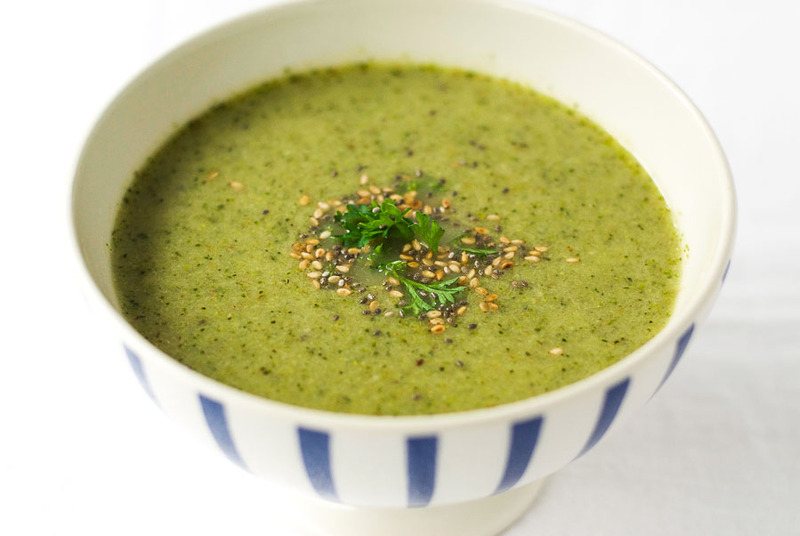 Just one bowl of this delicious roasted broccoli and white bean soup contains a whopping 10 grams of fiber. That’s 40% of a woman’s daily needs, and more than 25% of a man’s. Another great thing about this soup is that the cannellini beans combined with the coconut milk make it nice and creamy, without the need for dairy products. So if you follow a vegan diet, this is one for you. It is also grain free, dairy free, easy to make, and very tasty. What more could you ask for in a soup? 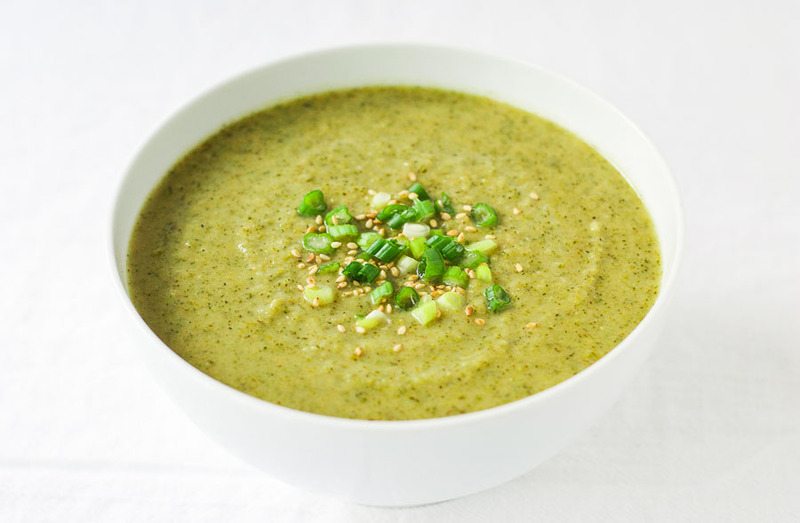 This deliciously creamy broccoli soup is made with cannellini beans, coconut milk, and roasted garlic. Chop the broccoli into florets and put the stalks to one side. 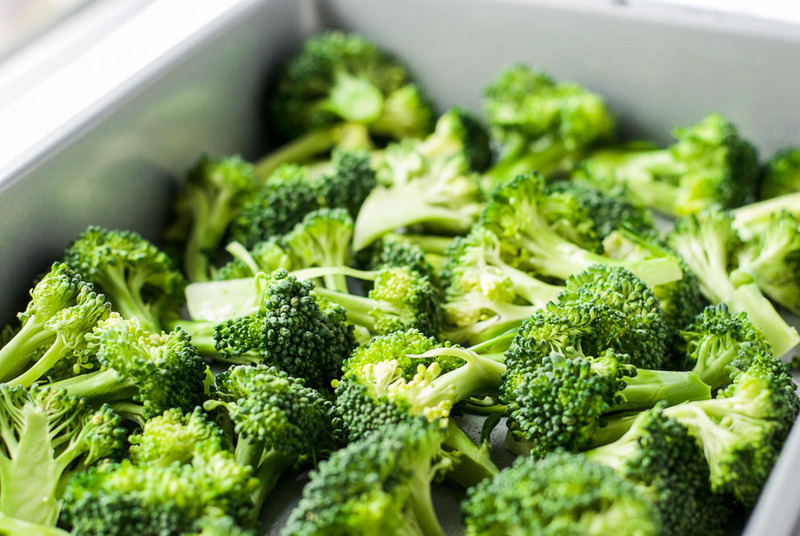 Place the broccoli and garlic on a baking sheet, drizzle with 1 tbsp olive oil, and roast in the preheated oven for 18 minutes. Meanwhile, peel the broccoli stems and chop into ½ inch cubes. Heat the remaining 1 tbsp olive oil in a pan over a medium heat. Add the shallots and broccoli stems, cover, and cook gently for about 3 minutes. Add the vegetable broth and beans, cover, turn down the heat, and simmer for 15 minutes. Add the roasted broccoli and garlic to the pan, transfer to a blender, and blend until smooth. Return to the pan, add the coconut milk, and salt and pepper to taste. Top with salad onions and serve. Very hearty and healthy! Love the green onion final touch. They are sometimes called white kidney beans. Any kind of hearty white bean would work.